There's plenty of thought that goes into a bathroom, and we like to approach design in a functional way. Bathrooms are often smaller rooms, while often requiring more storage space which can make things kind of tricky! Here are our tips for making sure your bathroom has plenty of storage while looking beautiful. 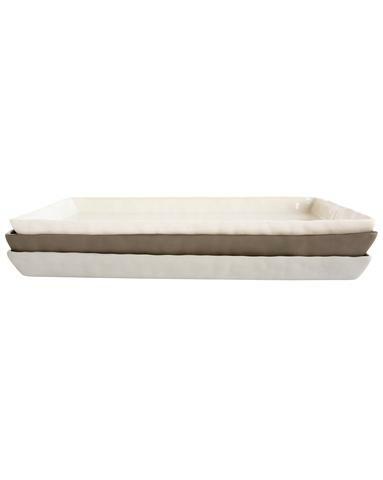 We might even argue that you need a tray in every room. Not only do they look pretty, but the way they corral various objects together feels high-end and organized. Feel free to throw on a potted plant, and store other objects together. Jars and canisters are the definition of form and function. They're so convenient for storing the things you don't want on display and looking pretty on your countertop. If you have an empty one, fill it with greenery! Bonus tip: Almost any jar or pot can serve as a holder for toothbrushes! 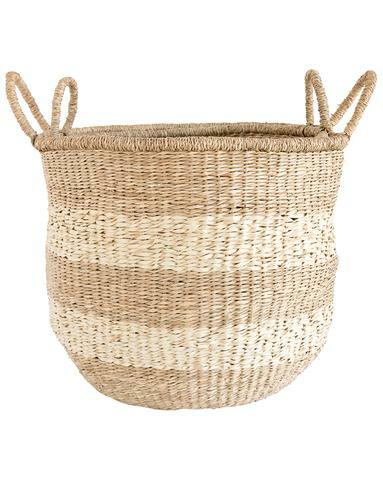 We love baskets! It's no secret, we use them almost everywhere! Not only do they bring natural textures to the space, but they're the best way to store larger items! 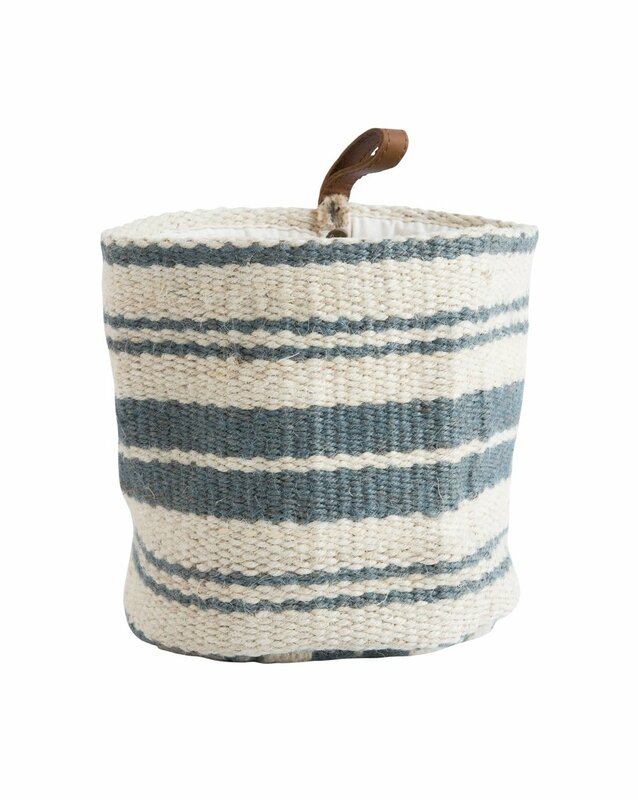 You can even show off your favorite decorative towels by draping them over the baskets. If you have an opportunity to customize your space, do it! 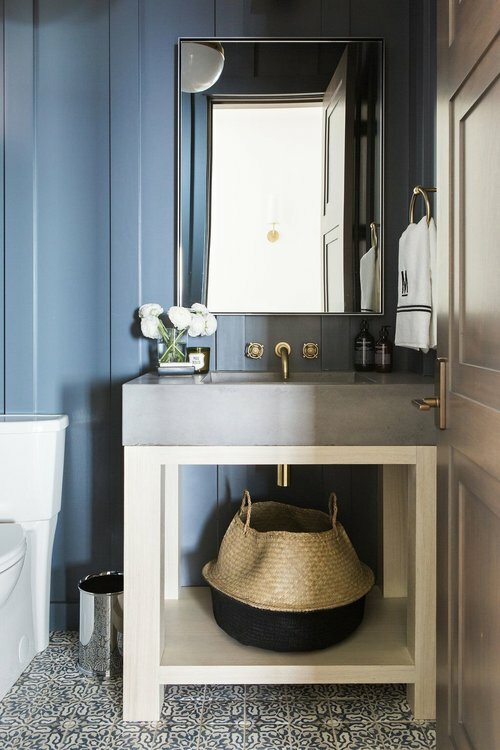 You can create extra storage in your vanity by adding an open shelf for baskets and storage at the bottom or you can customize built-in storage in your shower! Avoid using storage units that are built around the toilet and use a streamlined train rack above the toilet. If you have the space, a stool or ladder next to the bathtub is very convenient! Not only will it make your space feel like a spa, but it's bonus storage! A stool is a place to throw a candle and matches on, or a book and towel when you're taking a bath, while a ladder can display towels for easy access.